The Cowhouse Gallery is situated in the picturesque, coastal village of Perranuthnoe, between Marazion and Helston. The gallery is run entirely by a group of local artists and craftspeople and this independence allows them to offer a wide range of original arts and crafts at very affordable prices. Painting, Sculpture, Printmaking, Photography, Ceramics, Jewellery, Glass, Woodturning and Leatherwork are all beautifully displayed in this bright light art space. In addition, the gallery has a changing list of guest exhibitors. A stroll away is Perranuthnoe Cove and breathtaking coastal walks looking towards St Michael’s Mount in one direction and to Prussia Cove in the opposite direction. 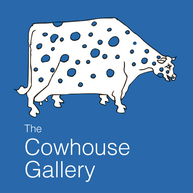 Each day one of the Cowhouse members works in the gallery, so call in for a chat about their work, or any other enquiries between 10am and 5pm every day.